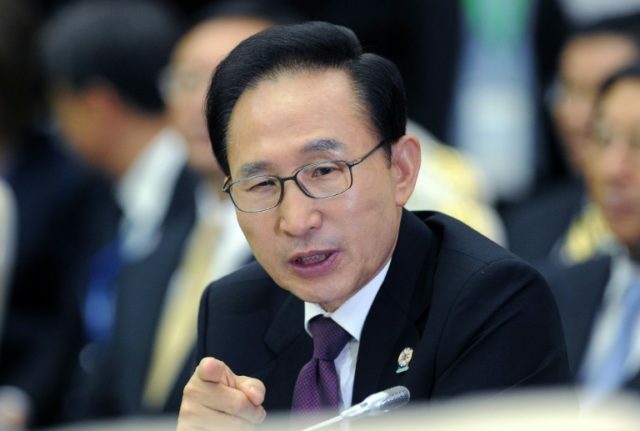 Seoul (AFP) – South Korean prosecutors on Tuesday summoned conservative former president Lee Myung-bak for questioning as a criminal suspect in a bribery scandal, the country’s latest former head of state to be investigated. South Korean presidents have a tendency to end up in prison — or meet untimely ends — after their time in power, usually once their political rivals have moved into the presidential Blue House. Lee’s successor Park Geun-Hye was ousted last year over a massive corruption scandal that emerged in 2016. Samsung reportedly paid six billion won ($5.6 million) in legal fees to a US law firm on the former president’s behalf.